© Live in Lofts 2018. 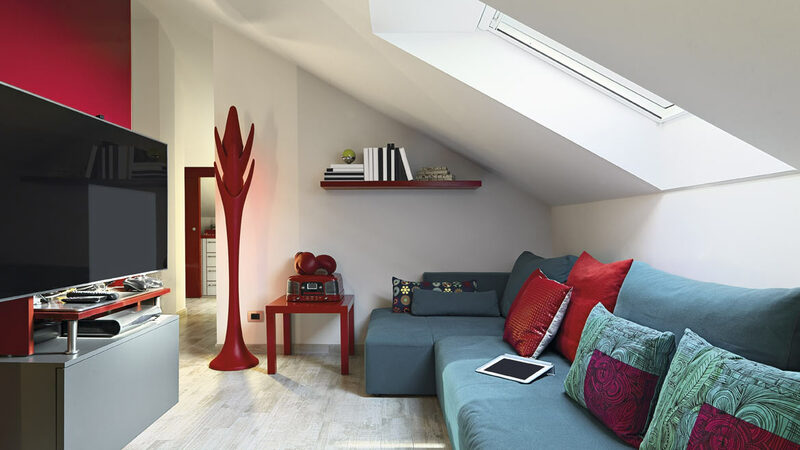 The smallest of loft spaces can add value to your life even if it’s used for storage purposes only. But think of the potential when your small loft conversion ideas are turned into reality. Over the last 10 years, we have been approached countless times for a loft conversion that houses a bedroom with an ensuite. It’s an all-time classic request and in all honesty it is ultimate conversion to get return on your investment, but some homes haven’t got that full bedroom and ensuite potential. So in our journey to help home owners optimise their loft space, we have had to think inside and outside the box and about all nooks and crannies of their space and delve in to their family lives and individuals interests to discover the missing essentials of their homes and how to convert their small loft conversion ideas into a haven for them. Having researched, designed, and constructed small loft spaces we have collated our all-time favourite list of small loft conversion ideas for you to consider before you dismiss the idea all together or discuss your ideas with us and an architect. We all need a bit of ‘me time’, a small space to escape from the day to day living from whatever is happening downstairs. You may have this idea already but couldn’t visualise it but here we have it for you. 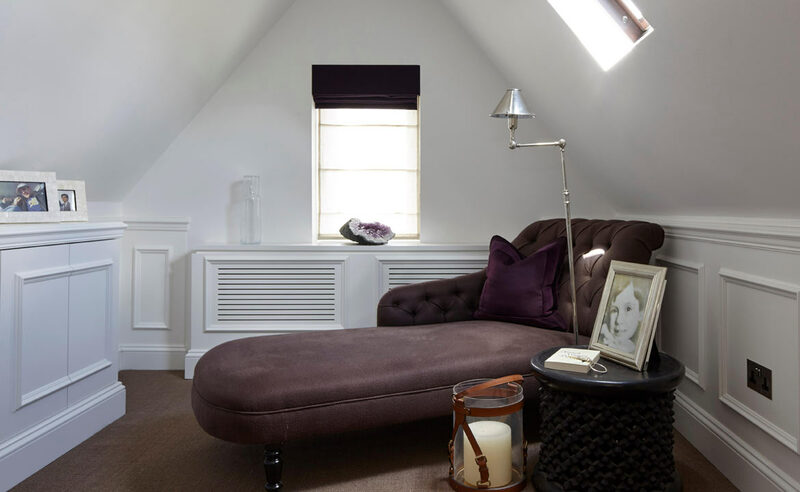 Your own tranquillity room within a small loft area with storage created in the eaves to optimise usable space, finished off with fine panel cladding in sync with the rest of your period style property. Sometimes all you need is an extra bed and personal space for your guests. Depending on your area, we can utilise your loft space within the eaves to allow for storage space too, to allow a clutter free guest room. Impersonalise your guest room, dress with style and simplicity like a boutique hotel for your guest’s comfortable stay. Whether you’re considering your loft conversion as a gym room, toy train room, and painting or music room or for any hobby, a simple blank canvas loft conversion is all that you will need to get your equipment and toys into place. Displaying your hobby on slopping roofs will be difficult and the angles may not bring the best out of your master pieces so consider a false vertical wall for your hobby if needed. False walls can look like it’s part of the original build and further storage can be created around it too. Consider your small loft space as a bathroom / shower room. An extra washroom will add significant value to your home and give your busy household the extra space needed to get through the mornings. You can utilise space with a bath under a sloping roof and space permitting, a shower can be added to the highest ceiling point of your loft conversion too. Bring in the sky light with large Velux frosted UPVC windows and enjoy a bright room throughout the day. Enjoy a man cave loft conversion with family and friends or just yourself, either way it’s your space to enjoy away from the usual household life. 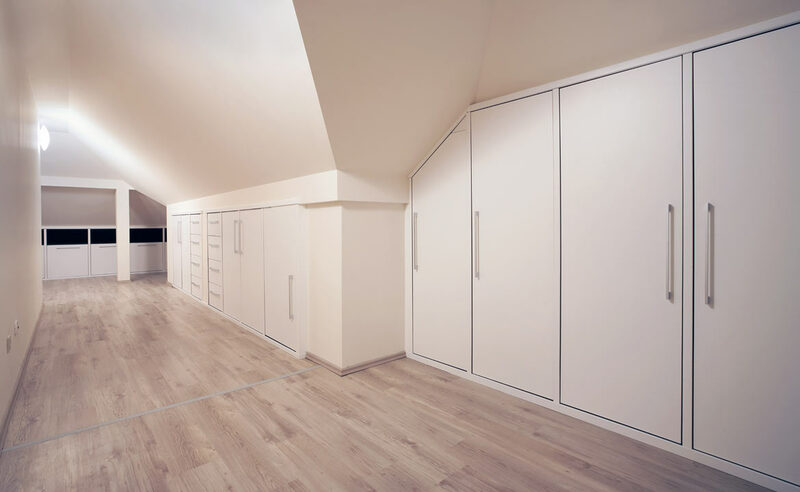 Storage space is a vital consideration in small loft conversions because it’s very unlikely that you will get even a small free standing wardrobe erected, especially where slopping roofs limit your space. We love what Houzz have done to address the main storage types in loft conversions. We love doing the finishing touches to your nearly completed lofts with fitted wardrobes and pop out drawers aligned to the sloping angle of your roof. You may still be thinking… my loft is still too small for these ideas but we are a loft conversion company with solutions and have been working with the best architects in the industry to bring out the best of your loft. Increasing the ceiling height by decreasing the ceiling height on lower grounds, increasing roof heights and more are all actions to consider when we meet to discuss your small loft conversion ideas.